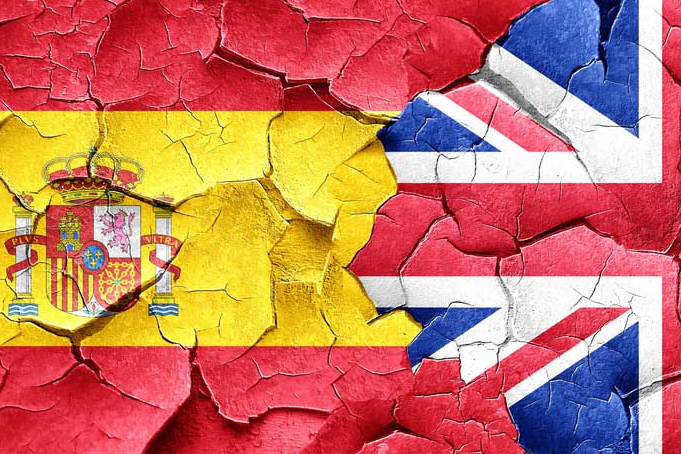 Will Spain vote against Brexit withdrawal agreement? Spain's prime minister has warned that the country will reject the Brexit withdrawal agreement if plans for future talks on the status of Gibraltar are not clarified. Speaking at a conference in Madrid on Tuesday, Pedro Sánchez said Spain wants a clear promise that no future trade or security deals would apply to Gibraltar without the country's consent. "Gibraltar does not belong to the United Kingdom, it is represented by the United Kingdom but it doesn't belong to the United Kingdom," Sánchez said. "Therefore, as a country, we cannot assume that what will happen to Gibraltar in the future depends on a negotiation between the United Kingdom with the European Union... it will have to be something that is defined, agreed and negotiated between the United Kingdom and Spain." "As things stand today if there are no changes regarding Gibraltar, Spain will vote no on Brexit," he said. Sanchez added weight to comments made at an EU ministers meeting on Tuesday by Spanish Foreign Minister Josep Borrell, who said Madrid wanted the Brexit deal to clearly outline that future talks between London and the EU would not apply to Gibraltar. “That is what must be made clear. Until we have the future declaration and we know what it says, whether we agree with it or not, we are not going to approve the withdrawal agreement,” Borrell said. It is understood that Spain has raised concerns over a clause in the draft Brexit deal, which specifies that negotiations with the EU will cover Gibraltar as well as other British overseas territories. British Prime Minister Theresa May and EU leaders are meeting for a special Brexit summit on Sunday, where they are expected to formally sign off on the withdrawal agreement. Spain has long maintained claim to Gibraltar, a small peninsula on its southern coast that has been a British territory since 1713. The territory is due to leave the EU along with the UK in March 2019. Fabian Picardo, Gibraltar’s chief minister, said Borrell's comments did “not come as a surprise” and accused Spain of raising the issue at the last minute. He added that he received assurances from Downing Street on Monday that Gibraltar would be left out of any future agreements. “The position taken by the Spanish government today does little to build mutual confidence and trust going forward,” Picardo said.